Everyone loves a good snack, especially when it’s potato chips. Of course, our Muslim brothers and sisters have certain restrictions when it comes to food, and can’t eat anything that isn’t certified halal, and we definitely respect that. 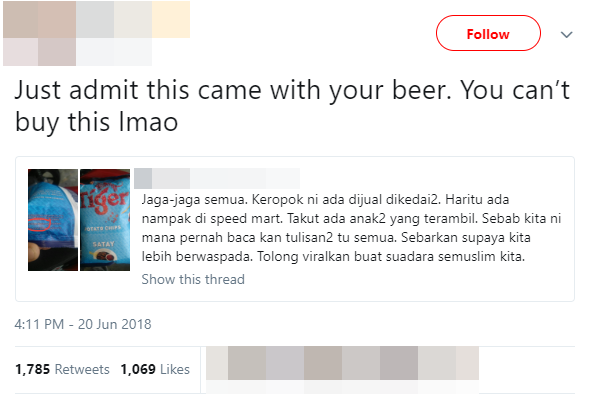 This Malaysian recently took to Twitter to warn his fellow Muslims about one snack he supposedly found at the popular convenience chain, 99 Speedmart. 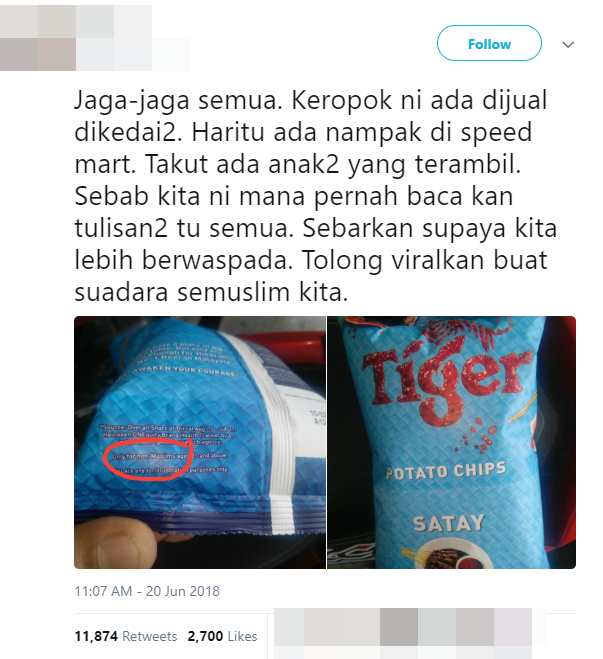 This particular snack was a bag of satay flavoured potato chips produced by the famous beer brand, Tiger, and printed on the back of the bag is a statement saying that the chips are only meant for non-Muslims aged 21 and above. 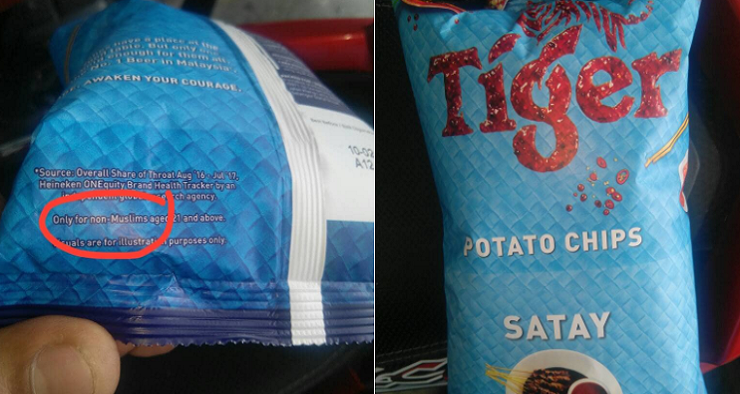 However, it turns out that these chips aren’t even sold off the shelves, as some Twitter users pointed out in the replies to this tweet. 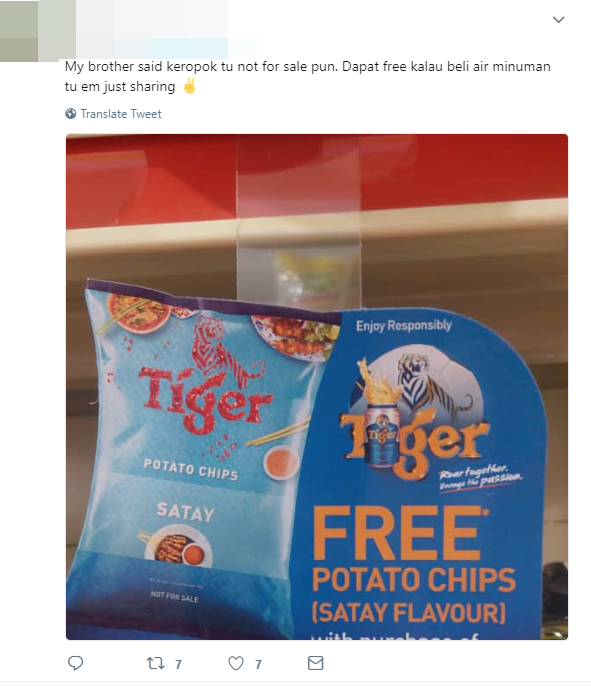 PS: We can’t confirm that the netizen actually ‘bought’ the chips as he only mentioned “seeing” it on the shelves at the convenience store. 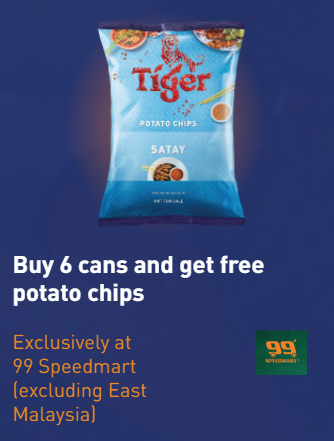 As what was pointed out, this specific brand of chips is apparently not for sale, and can only be given as a free gift with every purchase of 6 cans of Tiger beer at 99 Speedmart as part of their FIFA World Cup promotion. 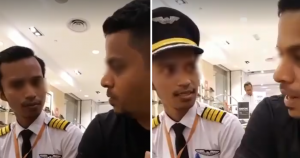 Haa, kantoi lah tu! So, looks like you have nothing to worry about! There’s no way customers (let alone kids) can simply pick this up off the shelves. Let’s not spread false information like this alright, guys?